Coin-stealing banks have met with commercial success since The Addams Family-inspired Thing bank hit the novelty toy scene in the 1960s. The Pikachu Itazura (Japanese for “prank”) Bank is the latest in line to add a dose of fun to fiscal responsibility. The Pokémon-inspired bank is created by Japan-based Shine Inc. and Takara Tomy. Fans of Pokémon will recognize the bank as a square version of a Pokeball, the container trainers use to catch and store Pokémon. 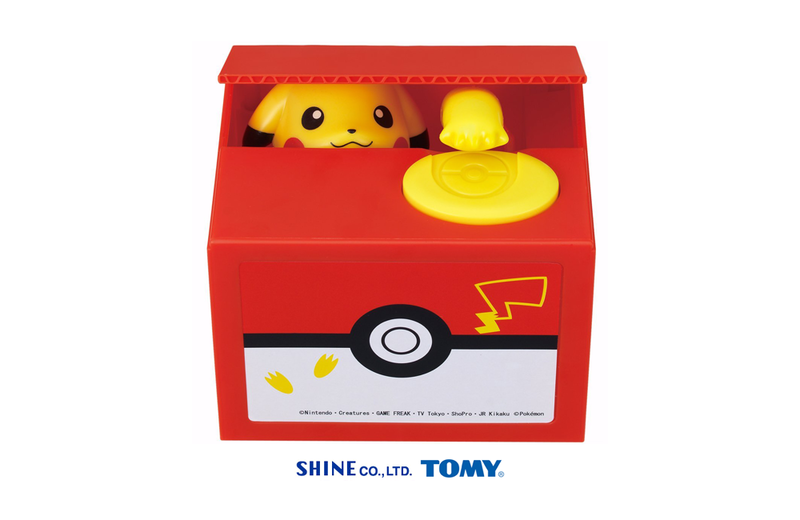 When the user places a coin on the top of the box and presses on the yellow button, the mischievous Pikachu emits a sound, peeks out from inside the box, and sweeps the coin inside with his paw. The box closes with another Pikachu sound. The Pikachu Itazura Bank measures roughly 3-inches tall by 5-inches wide by 3-inches deep. It runs on 2 AA-size batteries and costs about $35.00 USD. Just in time for the holidays – and for the late-November theatrical release of Fantastic Beasts and Where to Find Them – Moleskine is releasing two limited-edition notebooks tied to the Harry Potter series. Geosphere Puzzle Lamp Kits allow children to work on their fine motor skills while assembling a puzzle that doubles as modern art at the same time.